Our expertise is at the interface of microfluidics, electrokinetics, micro/nanofabrication and carbon. 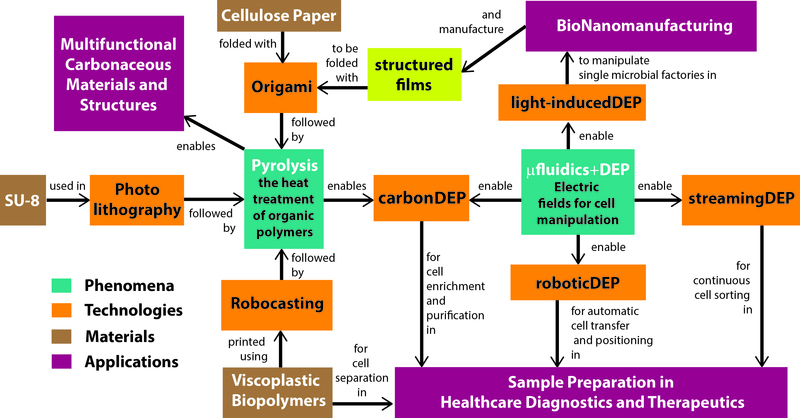 The mission of the M2L is to nurture interdisciplinary research towards providing solutions in healthcare and developing innovative manufacturing processes using renewable resources. Such mission enables a rich research space that combines fundamental phenomena, technologies and materials, and provides opportunities for researchers at many levels, from high school to postdoctoral. 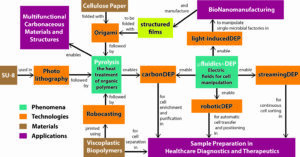 Two fundamental pillars: pyrolysis and dielectrophoresis, support several research areas that are intertwined for different purposes including manufacturing and healthcare innovations.